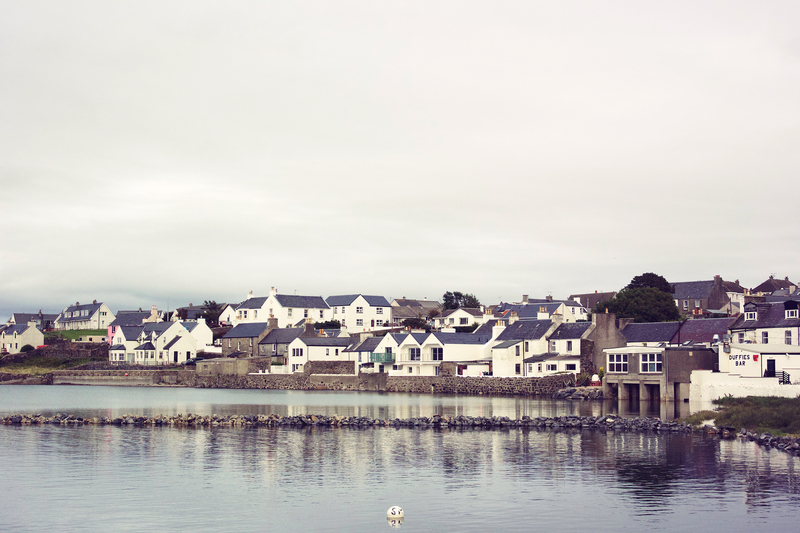 Once I’d figured out where we were going to stay on Islay for Husband’s surprise birthday trip, I then had to figure out how to get there. The first leg of the journey was to Glasgow which was the easy part. From there, there are a few options but realistically for our schedule, we could either fly with Logan Air or drive to Kennacraig to get the Calmac ferry. There are pros and cons for both modes of transport but considering my goal was to get to Islay as quickly as possible, flying ended up being the best choice. Unfortunately, flying made the beginning and end of our trip quite stressful. We almost missed our first flight from Heathrow as there was an accident on the M3 which was so frustrating as we only live 30 minutes away from Terminal 5. Not only that, whilst I thought I had given us enough time to switch planes on the way back from Islay at Glasgow airport, our Logan Air flight ended up leaving Islay half an hour late so we had to run to our gate. And I hate being that person who runs through airports. Not only that, but Husband was sad that our luggage wasn’t big enough to pack all the whisky he wanted. Next time, we’ll have to drive the 13 hours from our house so he can fill the whole car with bottles of whisky. Ignoring the stress, flying into Islay is very special. It takes 40 minutes from Glasgow on a tiny 34 seat turboprop plane (which was only moderately terrifying). For most of our journey, the cloud level stopped us from seeing anything below but all of a sudden, the iconic Laphroaig appeared out of the right side of the plane. I confess – I squealed when I saw it. 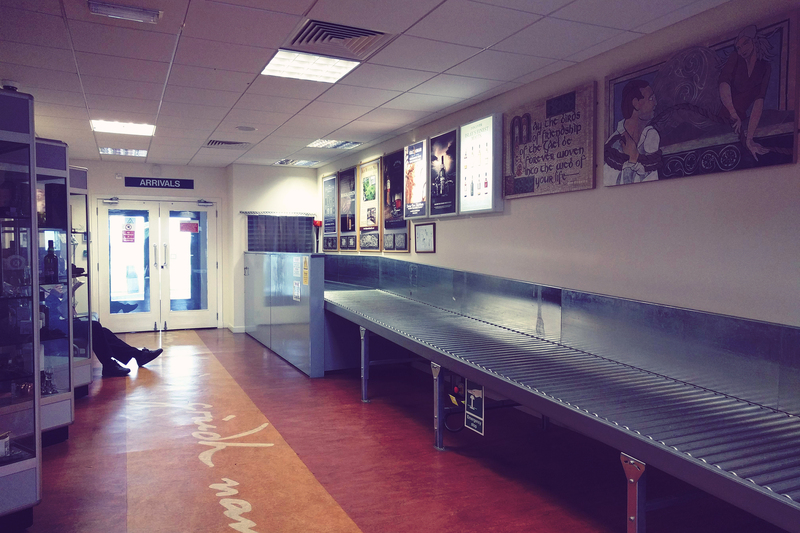 The airport itself is as small as you’d expect – two check-in counters, a bijou but comfortable lounge, a cafe serving locals as well as visitors. I wasn’t expecting to be greeted by a dog at the front door, but I don’t think he’s there all the time. 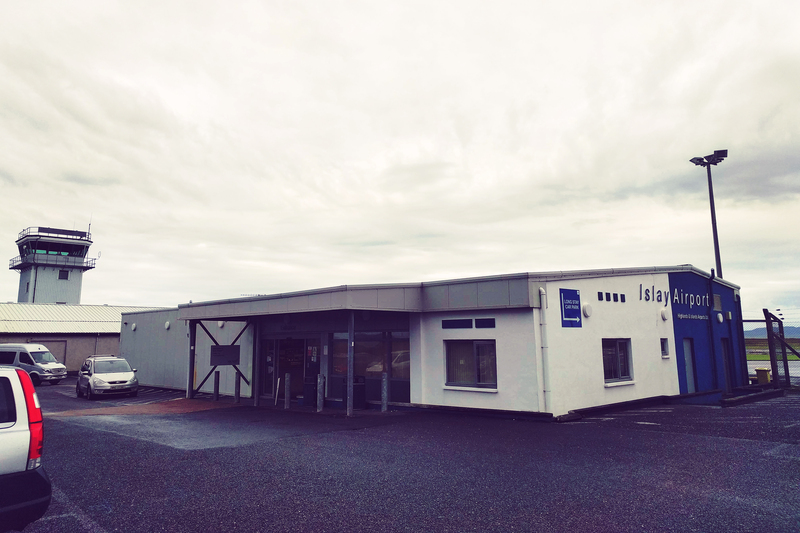 There’s a few transport options on the island – a regular bus service, a few taxi companies, but I decided on hiring a car from Islay Car Hire at the airport which was incredibly easy. I booked a medium sized car as I knew the route to our Airbnb was a little off-road and I didn’t want to risk a small car. Within about five minutes of getting off the plane, I was adjusting the mirrors in a Vauxhall Astra who I named Sassy. The car hire worked for us mainly because I don’t drink, so was happy to ferry a tipsy Husband from distillery to distillery. So other than drive from distillery to distillery (which I’ll be covering in a future post), what else did we do? Not much to be honest. With only two full days on the island, Husband wanted to maximise his whisky tasting time but we did manage to see a few non-whisky related places. 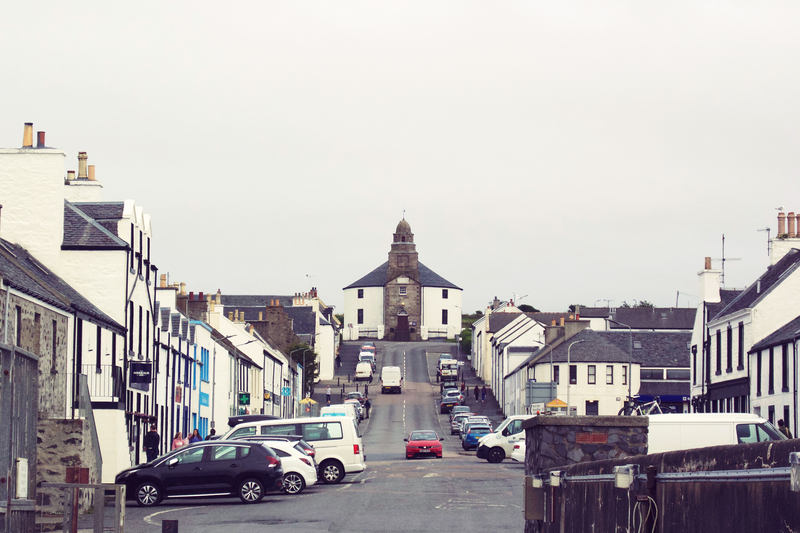 On our first night, we went up to Bowmore for a little wander around and some pizza at Peatzeria (good pun). It was surprisingly busy for a Monday night and we ended up getting one of the last tables which I was relieved about as it would have been a shame to miss out on tasty pizza. Bowmore has a lot of lovely little shops which were all closed as we were there late, but it’s definitely somewhere to get cute souvenirs as well as more every-day items. The second night, we were too tired to go out so we ended up in the Port Ellen Co-op and cobbling something together to cook back at home. I won’t tell you what we ended up with as it’s so pathetic (in our defence, the Co-op isn’t that big). We did want to try the Sea Salt Bistro but instead tried their sister restaurant Yan’s Kitchen for lunch on our last day where I had an amazing burger. The empty landscape. There are a few “main” roads across the island but you can drive for miles and see nothing but fields. Following the coast down to Port Charlotte, you’re right next to the sea. When you’re not on a main road, you’re on a single track lane going through farmland. There’s just nothing and I adore it. The people. I don’t want to being a patronising mainlander who just thinks everyone is sooo cute and quaint but every single person we came across was incredible friendly. People wave at you as you’re driving along – other drivers and pedestrians – and I very quickly got used to waving back. It felt really jarring to be back at home where people aren’t so nice.